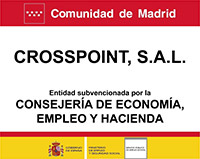 Crosspoint delivers Media Excel encoders for OTT integrated solution of Valencian broadcaster. Since the official launch of their brand-new multimedia platform last year, À Punt, an Spanish regional TV from Valencia, has been working with Media Excel encoders. Media Excel is a north american company based in Texas and a world reference in OTT multiscreen encoding environments for Live, VOD and transcoding solutions, with clients such as Disney, MTV, Akamai, Sky, Vodafone, LG or Huawei, among many others. Crosspoint, official distributor in Spain of Media Excel portfolio, has been also leading the role of system integrator of À Punt Media Platform, and was in charge of the complete start-up of the entire Hero Live multiscreen encoding suite. Crosspoint also provides a comprehensive OTT solution for À Punt together with other awarded vendors such as Ooyala (OVP) and Konodrac (Big Data and Analytics), including a multiscreen deployment covering multiple publishing end points: web, mobile iOS and Android apps, Apple TV, HbbTV and Smart TV's. Á Punt streaming engine is basically composed of two Hero Live H5.DS7.4SDI encoding appliances working in a redundant mode in order to provide several 24x7 video and radio channels and two more channels for special events. In addition, in the case of Fallas 2019, a multi CDN experience has been successfully tested with simultaneous streamings for À Punt main website and a different streaming player including the streaming of the official pool signal for Falla´s 2019 website. The exceptional encoding quality of Media Excel equipment has been very well received by À Punt platform users which enjoy a high quality Live and VOD content directly from À Punt website: https://apuntmedia.es/va/directe/tv, as well as across the other mentioned platform devices. Media Excel will be attending next NAB Show in Las Vegas, showing its latest developments that includes, among many others, unique features such as Ultra Low Latency CMAF encoding, Live to VOD and VOD to Live capabilities, 4K encoding and transcoding including HEVC and real time DVB-Subs bitmap conversion.